The Haunting of Hill House, la serie televisiva targata Netflix, ispirata all’omonimo romanzo di Shirley Jackson (in Italia noto come L’incubo di Hill House), diventa una serie antologica dedicata alla ghost story. 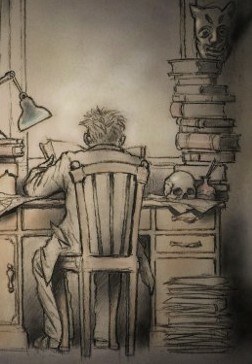 Dopo il successo della prima stagione, la serie è stata rinnovata per una seconda stagione che vedrà la luce nel 2020 con il titolo The Haunting of Bly Manor, dichiaratamente ispirato a uno dei romanzi cardine della ghost story, The Turn of the Screw (Giro di vite), di Henry James. La realizzazione è affidata ancora una volta al duo Mike Flanagan e Trevor Macy, ideatori e produttori della prima stagione. Qui il breve trailer ufficiale della nuova stagione. The Haunting of Hill House, the Netflix tv serie, inspired by Shirley Jackson’s novel with the same title (known in Italy with the title L’incubo di Hill House), will become an anthologic serie. Netflix announced a second season in 2020, The Haunting of Bly Manor, directly inspired by The Turn of the Screw (Giro di Vite), by Henry James. The producers will be Mike Flanagan and Trevor Macy, the same producers of the first season. Here the trailer. La SFWA (Science Fiction and Fantasy Writers of America) ha annunciato i finalisti della 54a edizione del Premio Nebula, che comprende anche il Ray Bradbury Award for Outstanding Dramatic Presentation, l’ Andre Norton Award for Outstanding Young Adult Science Fiction or Fantasy Book, e per la prima volta il Nebula Award for Game Writing. I premi saranno consegnati il 18 maggio durante la riunione annuale della SFWA a Woodland Hills, CA al Warner Center Marriott. 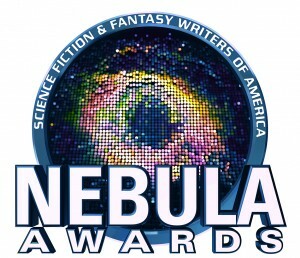 The SFWA (Science Fiction and Fantasy Writers of America) announced the finalists for the 54th edition of the Nebula Awards, including the Ray Bradbury Award for Outstanding Dramatic Presentation, the Andre Norton Award for Outstanding Young Adult Science Fiction or Fantasy Book, and for the first time the Nebula Award for Game Writing. The Nebula Awards will be presented during the annual SFWA Nebula Conference, on May 18th, in Woodland Hills, CA at the Warner Center Marriott. See the full list by category above. Già disponibile in versione digitale e in uscita il 19 febbraio quella cartacea, ecco The Very Best of Caitlín R. Kiernan, la nuova raccolta dedicata alla narrativa di una delle più importanti scrittrici del fantastico contemporaneo. Edita da Tachyon Publications, la raccolta comprende venti racconti pubblicati tra il 2003 e il 2017, testimonianza del talento e dell’originalità della scrittrice irlandese, nota soprattutto per il romanzo The Drowning Girl. Tra le varie tematiche presenti, centrale in molti racconti l’elemento dell’acqua, come in “Andromeda Among the Stones”, “Houses Under the Sea” (“Case sotto il mare”, Hypnos 08), “The Mermaid of the Concrete Ocean” e “Tidal Forces”. It is already available in digital edition, and soon onFebruary 19th in paper edition, The Very Best of Caitlín R. Kiernan, the new collection by one of the most important contemporary writers of modern weird and fantastic literature. The volume, published by Tachyon Publications, contains twenty short stories already published between 2003 and 2017, some of them focusing on the element of water, like “Andromeda Among the Stones”, “Houses Under the Sea” (“Case sotto il mare”, Hypnos 08), “The Mermaid of the Concrete Ocean” and “Tidal Forces”. Centipede Press presenta il nono numero di Weird Fiction Review, a cura di S. T. Joshi, rivista di letteratura weird e soprannaturale, con cadenza annuale. In questo nono numero sono presenti testi di Caitlin R. Kiernan, Laird Barron, Victor LaValle, Stephen Graham Jones, Scott Bradfield, per citare solo alcuni nomi, oltre a numerosi articoli. La copertina e le illustrazioni sono dell’artista Colin Nitta. La rivista è disponibile sul sito dell’Editore. It is now available the last issue of Weird Fiction Review by Centipede Press: it is an annual periodical focused on the study of weird and supernatural fiction and edited by S. T. Joshi. This ninth issue contains works by Caitlin R. Kiernan, Laird Barron, Victor LaValle, Stephen Graham Jones, Scott Bradfield, just to name a few, and many articles. The artwork is by the artist Colin Nitta. The Weird Fiction Review #9 is available for purchase on the Publisher’s website.